The Daisy Ferguson Trophy Final R.C.D. 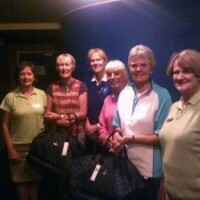 Ladies G.C. 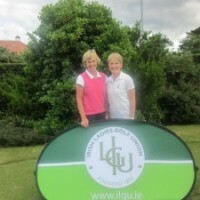 ILGU Charity 3 Ball Team event took place at Enniskillen Golf Club on Tuesday 9th August. 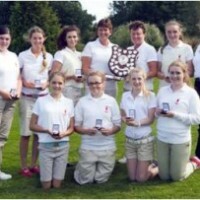 The winning teams were all from Enniskillen G.C. 1st. 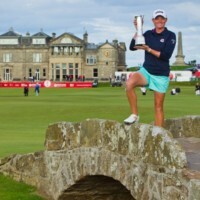 Margaret Mc Caffery (15) Sandra Robinson (21) Sandra Mc Ilroy(31). 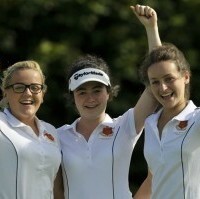 88pts 2nd Dympna Slowey (17) Hazel Hogg (22) Mary Longmore (17). 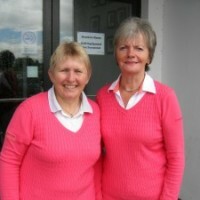 88pts 3rd Audrey Williamson (31) Kathleen Lavin (20) Jackie Crawford (26) 87pts Prizes were from ‘The Surprize Shop’ and sponsored by Geraldine Bradley, Ladies Golf Times. 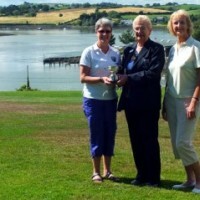 Lady Captain (Mahee Island) Frona Clarke wins Veteran’s Cup 2013 Results 1st Frona Clarke (Lady Captain) Mahee Island 41 points 2nd Barbara Martin (Lady Vice Captain) Mahee Island 41 points Best Gross: Karen Simpson Shandon Park/Mahee Island 23 Gross points. Caption Left/ right Frona Clarke (Lady Captain Mahee Island), Jean Rogers (Lady President Mahee Island) & Barbara Martin (Lady Vice Captain Mahee Island).